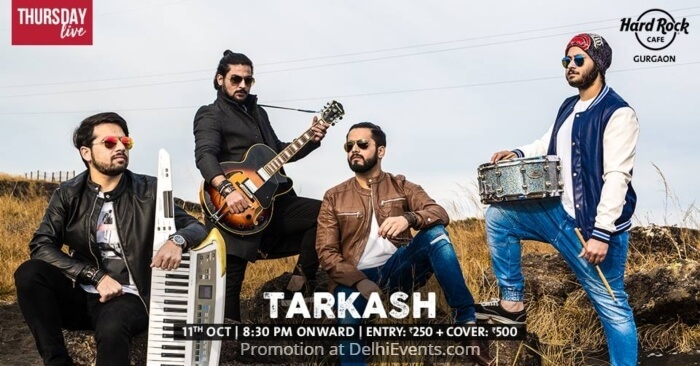 Tarkash is a multi-genre band, based in New Delhi. The band's name, which has its roots in Devanagari script, translates to 'a basket or a container of arrows'. Having a full 'Tarkash' was a matter of pride for the warriors. Similarly, their music is a matter of pride for these budding musicians. Tarkash has made its mark around the globe and has performed for their fans in Rome, Moscow, Milan and Jordan.